The VET CARE bill would authorize a pilot program providing veterans with dental care and evaluating the cost savings of improving oral health as an integral part of total body health. 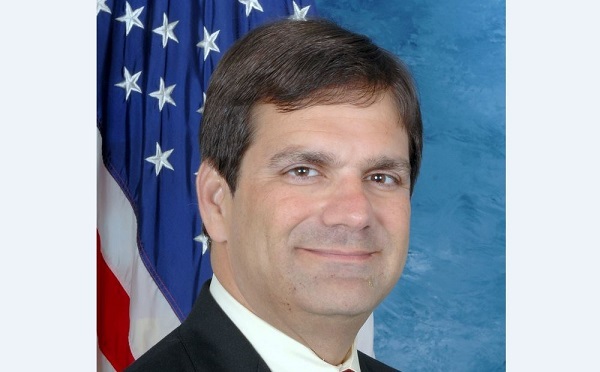 WASHINGTON, DC – U.S. Rep. Gus Bilirakis, R-Tarpon Springs, is sponsoring a bill that’s designed to expand access to dental care for veterans. The bill, called the Veterans Early Treatment for Chronic Ailment Resurgence through Examinations Act, arose because of conversations Bilirakis had with veterans while co-hosting the Stars, Stripes and Smiles event each year, to provide dental care to 75 veterans at no cost. “Each year when I co-host the Stars, Stripes and Smiles event, I am heartbroken to hear the stories of veterans suffering with conditions that are exacerbated by poor oral health,” Bilirakis said. “Many of them are in pain and cannot afford treatment. We know that preventive care leads to better health outcomes and to long-term savings. My hope is that the VET CARE bill will serve as a catalyst for expanding dental health care services to all veterans, while saving the Veterans Administration money due to fewer complications of chronic ailments,” Bilirakis said. The VET CARE bill will authorize a pilot program to provide veterans with dental care and evaluating the cost savings of improving oral health as an integral part of total body health. The pilot program involves 1,500 veterans between the ages of 40 and 70 years old, who have Type II Diabetes and untreated periodontal disease. The outcomes of the pilot program would be reported to Congress providing data to help make effective health policy decisions for the VA and its patients. If the pilot program demonstrates that investing in professional oral health care makes patients healthier overall while saving taxpayers money, Bilirakis said he would pursue legislation to responsibly deliver dental care to veterans who have earned and deserve the best health care they can receive. Bilirakis represents Florida’s 12th Congressional District, which includes north Pinellas and Pasco counties.